Prospecting - a word that leaves a bad taste in the mouths of senders and recipients alike. For the recipient, typical prospecting emails are annoying, yet seemingly unavoidable. From the sender's perspective, sending poorly performing prospecting emails feels like a waste of valuable time. Feelings aside, prospecting can be a pivotal part of getting the most out of your sales and marketing funnel. This is especially true for organizations with high-performing inbound marketing funnels. Prospecting will generate business, but many recipients and sales reps will hate it unless you carefully tailor your approach to it. I can proudly say that in less than one hour of work per day, IMPACT can nearly double our incoming sales funnel. For us, that’s huge, and we’re not even close to maximizing the potential of our database. However, it’s not fair to talk where we are now without mentioning where we started. One year ago, our prospecting averaged a response rate of only 18% and we spent twice as much time per email. We’re now four times as effective. Here are the seven tactics that we now live by that have helped us accomplish that. When prospecting, prioritization is probably the most important thing you can do. Regardless of how great your outreach is, some leads just aren’t ready to talk with you. Other leads are in the perfect stage of the buyer’s journey to benefit from engaging with you. These are the leads we want to reach out to. The good news is that inbound marketing makes this easy. Inbound marketing is designed to attract buyers early in the buyer’s journey, and if your site is properly set up, you can monitor and track these users and prioritize the ones who are farthest along. For example, you’re going to want to prioritize leads that are visiting the pages on the site that show they are researching doing business with you. You can use a tool like HubSpot to track this, and quite frankly, I'd be back to the drawing board without it. An easy way to evaluate which leads should be your highest priority is by setting up lead scoring. Lead scoring assigns points to prospects based on the actions they take on your site. When prospecting, always work your best leads first. Sales is a timing game. In order to nail timing, you need to work in the moment. If you’re not reaching out to prospects as they’re on your site (or sometime close to it), your window of opportunity has likely already closed. The easiest way to picture this is to put yourself in the shoes of a prospect. When you research a problem or search for a solution, how much time can you dedicate? You have meetings and other responsibilities to attend to. The easiest way to get in front of a prospect when they’re researching a problem you can solve is by engaging them while they’re on your site. This way it’s almost guaranteed that the email you send will align with their current train of thought. Monitor prospect activity on your site and react accordingly, in real time. I speak about this in-depth in this article about the power of tracking and following buyer signals. If I had to rewrite this article as one concept instead of seven, this would be the one I choose. Most sales prospecting emails fall flat because they serve the sender. Think about the last few you’ve gotten. With typical prospecting emails, what does the recipient stand to gain from spending the time to respond (let alone chat) with a sales rep? Not much. The thing is, it wasn’t always like this. In the years before the internet, blog articles, and reviews, we needed salespeople to learn the basics. Now, when we have questions we search. No salesperson needed. Unfortunately, sales “best practices” have failed to catch on to this. If you’re not offering something of incredible value to a prospect then most of your emails are going to be ignored. Tom wrote that Tony Robbins quote on a note on my desk and it stuck. No pun intended. In order to craft a powerful offer, we need to take a good hard look at our buyer personas and their buyer’s journey. Help them solve for different stages of their buyer’s journey. Offer to help them understand their problems better. Offer to help them tackle their problems on their own. Offer to help them sell a solution to their team. Add some social proof and a clear call-to-action and you’re well on your way! This concept transformed the way we prospected at IMPACT. Not only did it greatly increase our results, but people were excited to talk to us. You can’t get much better than that. Attention salespeople: Prospects don’t trust you -- especially if they’ve never spoken with you. No matter how great your prospecting emails are, prospects will see right through them. There’s no hiding your intent to gain new business. You can, however, change how a prospect perceives the experience they will have if they respond to you. You do this by shifting the balance of perceived value from being for you to being for them. An unwanted sales pitch is only valuable to the salesperson, who spreads awareness of their product in hopes of aligning with a prospect's pain point. Making an offer to the prospect works because it shifts the value towards them. They stand to gain something, other than a sales pitch, by responding to you. In a way, it works just like blogging for business: You trade valuable knowledge for the attention of a prospect. Salespeople are fighting an uphill battle with prospects when it comes to this. I always find it interesting that even though I’ve sent thousands of prospecting emails, I still read every email a salesperson sends me like they’re a scam artist. It’s human nature. That means that, as a salesperson, you need to be extremely diligent to shift the perceived value completely towards the prospect, away from you. Any scent of your pitch is grounds for a quick trip to the delete bin. The fact is, even without a pitch, prospects still know why you’re reaching out to them. Fortunately, I’ve found that putting the value for my prospects first (both in my email and in my overall approach to sales), earns respect from prospects. To them, it’s a breath of fresh air. One of the key differences between marketing and sales is scale and how it affects personalization. Marketing’s job is to reach a broad audience with a broad message. Sales’ job is to align with a focused audience using a tailored message. Prospecting fits at the intersection between the two and great prospecting is personal enough to show a prospect that your outreach is genuine, but broad enough to be leveraged at scale. We personalize prospecting in two steps. The first dictates our approach and the second tailors it. The first personalization is all about the inputs a prospect gives that help you determine the content, context, and timing of your email. Who the prospect is, their role at their organization, and the content they’re looking at all plays into the core email template we leverage. This helps you subconsciously align with the prospect; It makes sure the value you offer resonates. Now, step two. It’s important to show a prospect that you did your research. Remember that you’re fighting to prove that you aren’t just in this for yourself. The best way to do this is to show that you’ve done your research. This sets you apart from the other salespeople by showing that your offer is tailored to them. Remember, people want to do business with people. Research from Inside Sales shows that while the chances of connecting with a prospect increase with every subsequent outreach, the number of salespeople who follow up drops off with each outreach. That, my friends, is opportunity. To me, no prospecting sequence is complete with less than three outreaches, but they’re often longer. I think of it this way: We all have days when we simply don’t have the time to respond. By sending more emails, you greatly increase the chances that you’ll align with a time that works for a prospect. You also show the prospect that you’re willing to put in the effort to get their time. Now, there’s a fine line between persistently adding value and being a nuisance. Simply following up by saying, “Did you get my last email?” doesn’t add value and won’t cut it. Great emails add context, while referencing the offer that came before them. You’re not going to win every time though, and when you don’t receive an response from a prospect, the best tactic is to send a breakup email. Breakup emails are cleverly crafted to politely offer a prospect one last chance to respond before you politely take your offer off the table. The breakup email is also a way of salvaging a relationship with a prospect, ending on a good note. This is one of those lessons I learned by getting it wrong - a lot. When I first started working on crafting effective prospecting outreach, it was with scalability in mind. My thought process was, “If I can send more emails, I’ll reach my goals faster.” Great thought, but my emails sucked and I’m pretty sure I pissed a good number of people off. Sorry about that. It didn’t take long to realize that I was thinking about it backwards. The foundation of my emails were generic and people saw right through them. So, I went back to the drawing board. That’s when I figured this out: Test and hone your emails first, then scale them. Each one of the email sequences I use has gone through several iterations. In fact, some of them are on their fifth round. From there, craft your first email according to best practices that you've learned, emails you’ve received, and other content that you’ve read. Send this email to a group of people. Now, start changing the content of elements to see how your metrics change. For example, if you change your subject line does your open rate increase? 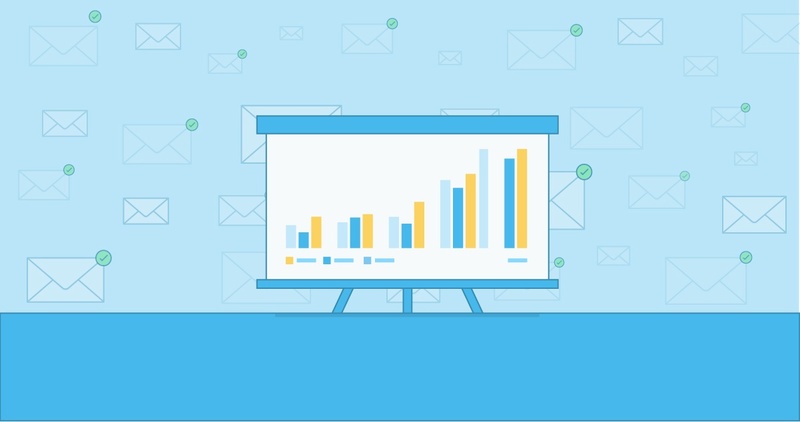 Once you’ve found subject lines, offers, and tones that work, swap those over to another hypothesis and apply your findings to a different approach. This allows you to test your approach and your execution separately. Through this process, you’ll learn what works and what doesn’t for your persona and that will greatly help you in creating emails that produce incredible results, while not needing intense amounts of customization. With a nearly limitless number of prospects, email templates, and sales automation tools, it’s easy to fall back on habits that leverage quantity over quality to get a result. I could purchase a list, throw together a generic email about our product, and use a sales automation tool to send out thousands of emails with a click, and it would probably produce a mediocre result with very little effort. However, just like inbound marketing, the seven prospecting tactics above are an investment. Time spent upfront honing your craft and the time spent executing pay off big time as you get closer and closer to prospecting engagements that get results.